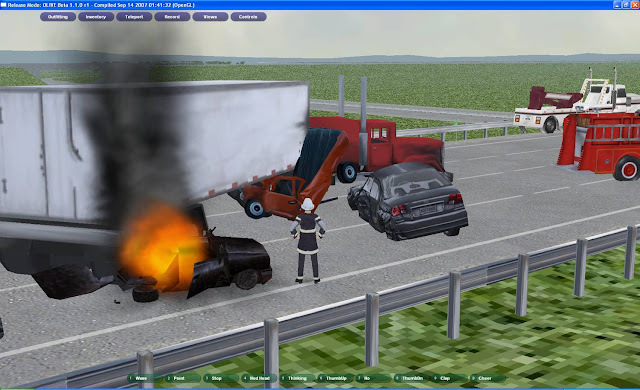 The Center for Advanced Transportation Technology Laboratory (CATT Lab), a research center at the University Of Maryland, College Park, is teaming up with the I-95 Corridor Coalition and Forterra Systems, Inc. to develop a massively multi-player virtual incident management training system for transportation first responders. They are creating an intensive training program to test, validate, certify, and reinforce the dissemination of best incident management practices across the Coalition region. 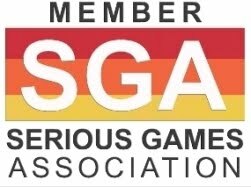 The Coalition devoted $1.4 million for the game development and plans to provide more funding for its implementation. Participants will include state, county, and local transportation departments, toll road authorities, law enforcement agencies, fire departments, emergency service providers, medical examiners, hazardous materials handlers, towing companies, the media, and other operating agencies and entities across the Corridor. Emergency responders in New Jersey and Georgia will begin testing the system early this year and it may be deployed up and down I-95 by year-end. 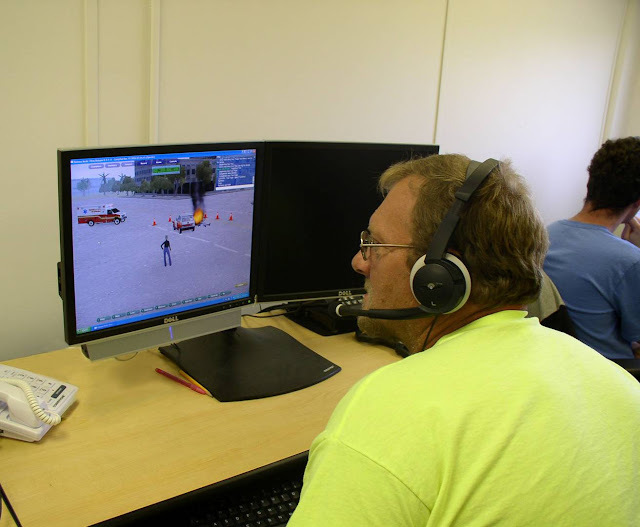 The program will present typical incident situations and allow the participants to play out their normal roles in what is essentially a highly structured and recorded video game. 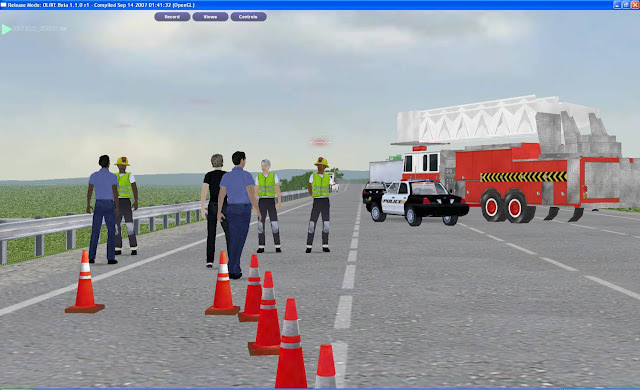 In this way traffic management personnel and incident responders can experience a wide array of realistic scenarios, analyze the impacts of their decisions, and be trained about appropriate responses and communication as well as the consequences of inappropriate responses and communication breakdowns. 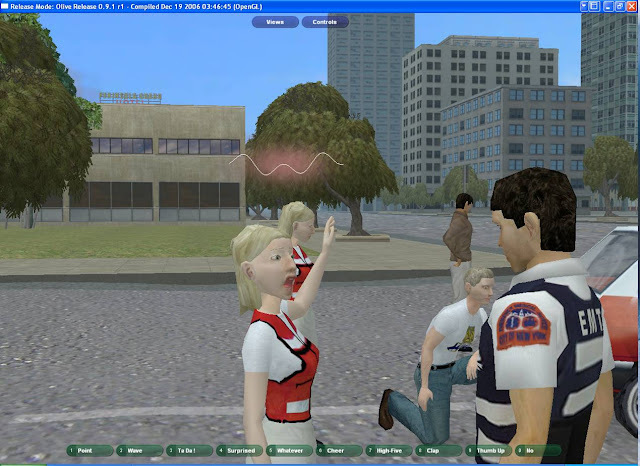 The system will enable practical, scenario-based, interactive, real-time incident management training for up to 500 responders, trainers and “victims” simultaneously at a variety of locations. "Every scenario has a moderator watching who can pause and resume the game to give feedback," said Michael Pack, laboratory director of the Clark School’s Center for Advanced Transportation Technology Laboratory (CATT Lab) at the University of Maryland. "He or she can also throw in ‘hiccups’ to test the reactions of the players". 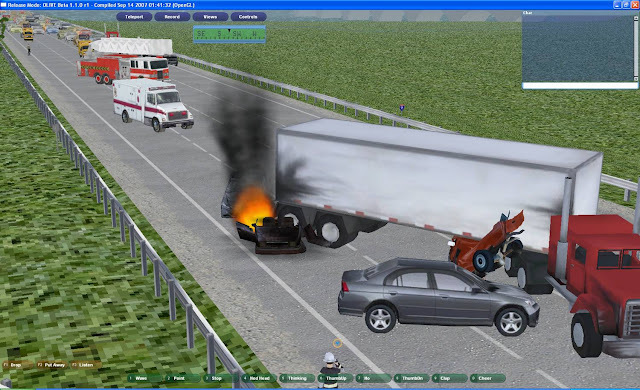 For example, in a scenario involving a 3-car accident, the moderator can quickly and easily add a tractor trailer spilling fuel to the mix or cause a fire to increase in intensity. "There’s never the same thing twice", said Pack. The training program can be accessed from any location with an Internet connection thereby reducing training and travel costs and enabling increased participation. 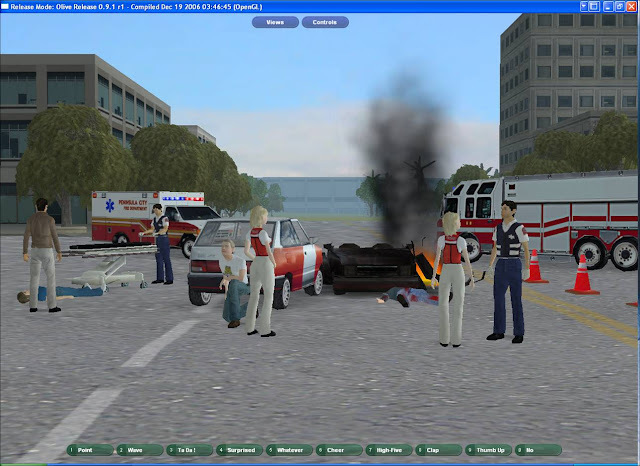 The program is designed to educate and validate quick clearance practices and related incident management techniques, but it is also designed to promote communication, coordination and cooperation among organizations involved in incident management. 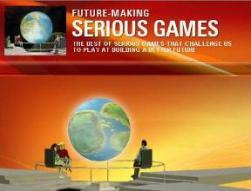 Forterra Inc. designed the game engine, including capabilities for voice communications and 3-D interaction over the Web. 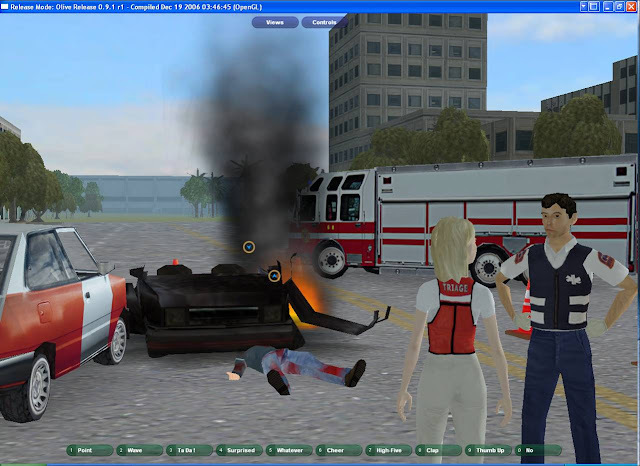 CATT Lab researchers, including undergraduate students from aerospace and mechanical engineering, computer science and art disciplines, worked with the Coalition to design the game’s scenarios, and are reprogramming the game engine to customize it to the Coalition's specifications. The goal of the technology is to expose trainees to real-life situations and to focus on their interactions with each other, said Capt. Henry de Vries of the New York State Police. 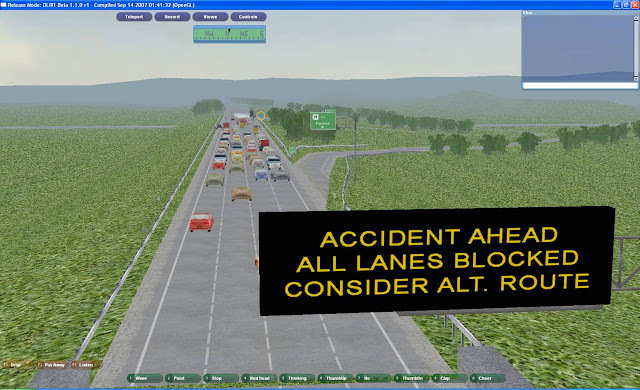 It will be a part of an extensive program to help save the lives of people involved in highway accidents and the emergency responders on the scene. 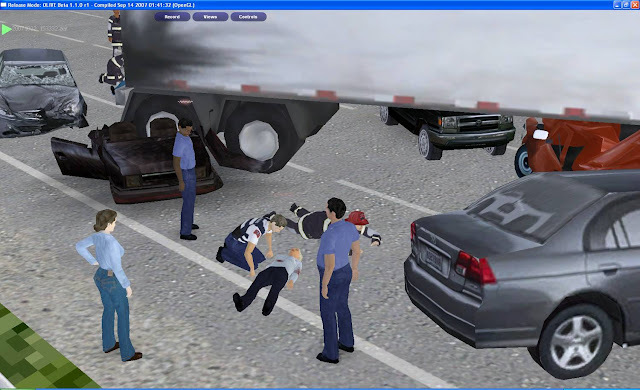 "This project provides incident responders from all disciplines the opportunity to train together in real time for the purpose of learning the latest best practices in incident scene safety, coordination and quick clearance of highway events," de Vries said.